Everyone loves to visualize data, but sometimes data visualizations are the wrong tools for the job. Learn to avoid common pitfalls and see how to make fast, easy, and accurate data visualizations part of your analytics mix, so everyone can make informed decisions. 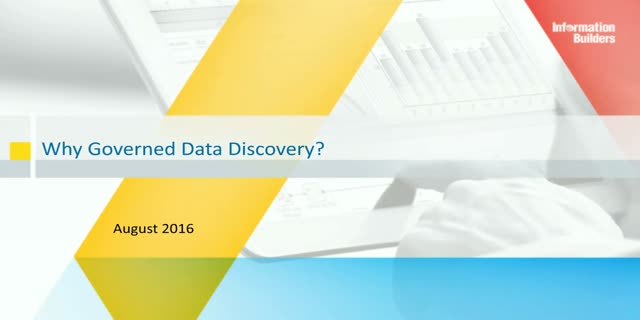 Title: Why Governed Data Discovery?